Moneyball: The Art of Winning an Unfair Game is a book by Michael Lewis, published in 2003, about the Oakland Athletics baseball team and its general manager Billy Beane. Its focus is the team's analytical, evidence-based, sabermetric approach to assembling a competitive baseball team, despite Oakland's disadvantaged revenue situation. A film based on the book starring Brad Pitt and Jonah Hill was released in 2011. The central premise of Moneyball is that the collective wisdom of baseball insiders (including players, managers, coaches, scouts, and the front office) over the past century is subjective and often flawed. 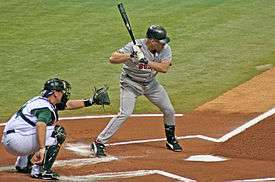 Statistics such as stolen bases, runs batted in, and batting average, typically used to gauge players, are relics of a 19th-century view of the game and the statistics available at that time. The book argues that the Oakland A's' front office took advantage of more analytical gauges of player performance to field a team that could better compete against richer competitors in Major League Baseball (MLB). By re-evaluating the strategies that produce wins on the field, the 2002 Athletics, with approximately US$44 million in salary, were competitive with larger market teams such as the New York Yankees, who spent over US$125 million in payroll that same season. Because of the team's smaller revenues, Oakland is forced to find players undervalued by the market, and their system for finding value in undervalued players has proven itself thus far. This approach brought the A's to the playoffs in 2002 and 2003. Lewis explored several themes in the book, such as: insiders vs. outsiders (established traditionalists vs. upstart proponents of sabermetrics), the democratization of information causing a flattening of hierarchies, and "the ruthless drive for efficiency that capitalism demands". 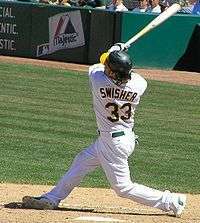 The book also touches on Oakland's underlying economic need to stay ahead of the curve; as other teams begin mirroring Beane's strategies to evaluate offensive talent, diminishing the Athletics' advantage, Oakland begins looking for other undervalued baseball skills such as defensive capabilities. Moneyball also touches on the A's' methods of prospect selection. Sabermetricians argue that a college baseball player's chance of MLB success is much higher than a traditional high school draft pick. Beane maintains that high draft picks spent on high school prospects, regardless of talent or physical potential as evaluated by traditional scouting, are riskier than if they were spent on more polished college players. Lewis cites A's minor leaguer Jeremy Bonderman, drafted out of high school in 2001 over Beane's objections, as but one example of precisely the type of draft pick Beane would avoid. Bonderman had all of the traditional "tools" that scouts look for, but thousands of such players have been signed by MLB organizations out of high school over the years and failed to develop. Lewis explores the A's approach to the 2002 MLB draft, when the team had a run of early picks. The book documents Beane's often-tense discussions with his scouting staff (who favored traditional subjective evaluation of potential rather than objective sabermetrics) in preparation for the draft to the actual draft, which defied all expectations and was considered at the time a wildly successful (if unorthodox) effort by Beane. Moneyball has entered baseball's lexicon; teams that appear to value the concepts of sabermetrics are often said to be playing "Moneyball." Baseball traditionalists, in particular some scouts and media members, decry the sabermetric revolution and have disparaged Moneyball for emphasizing concepts of sabermetrics over more traditional methods of player evaluation. 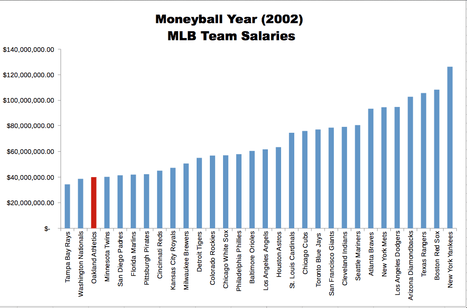 Nevertheless, Moneyball changed the way many major league front offices do business. In its wake, teams such as the New York Mets, New York Yankees, San Diego Padres, St. Louis Cardinals, Boston Red Sox, Washington Nationals, Arizona Diamondbacks, Cleveland Indians, and the Toronto Blue Jays have hired full-time sabermetric analysts. When the New York Mets hired Sandy Alderson – Beane's predecessor and mentor with the A's – as their general manager after the 2010 season, and hired Beane's former associates Paul DePodesta and J.P. Ricciardi to the front office, the team was jokingly referred to as the "Moneyball Mets". Like the Oakland A's in the 1990s, the Mets have been directed by their ownership to slash payroll. Under Alderson's tenure, the team payroll dropped below $100 million per year from 2012–14, and the Mets reached the 2015 World Series (defeating the MLB's highest payroll team, the Los Angeles Dodgers, enroute). Michael Lewis has acknowledged that the book's success may have hurt the Athletics' fortunes as other teams have accepted the use of sabermetrics, reducing the edge that Oakland received from using sabermetric-based evaluations. Moneyball also covers the lives and careers of several baseball personalities. The central one is Billy Beane himself, whose failed playing career is contrasted with wildly optimistic predictions by scouts. A movie based on the book was released in 2011. Actor Brad Pitt stars as Billy Beane, while Jonah Hill plays a fictional character based on Paul DePodesta; Philip Seymour Hoffman plays A's manager Art Howe. Academy Award-winning screenwriter Steve Zaillian was hired to write the script, and Steven Soderbergh was slated to direct, replacing David Frankel. However, in June, 2009, because of conflicts over a revised script by Soderbergh, Sony put the movie on hold just days before it was scheduled to begin shooting. Soderbergh was eventually let go. Bennett Miller took over directing duties, and Aaron Sorkin rewrote the script. Shooting began on July, 2010 at Blair Field, the Sports Stadium for Wilson High School (Long Beach, California), Sony Studios in Culver City, Dodger Stadium, and the Oakland-Alameda Coliseum. The film was released in theaters on September 23, 2011. Moneyball was nominated for six Academy Awards including Best Actor and Best Picture. ↑ Woolner, Keith (2007-05-04). "Articles | Aim For The Head: Aim For the Front Office". Baseball Prospectus. Retrieved 2011-09-24. ↑ "The Moneyball Mets". New York (magazine). 25 March 2011. Retrieved 2011-04-06. ↑ "Michael Lewis on A's 'Moneyball' legacy". San Francisco Chronicle. 18 September 2011. Retrieved 2011-09-23. ↑ Siegel, Tatiana. "Columbia pitches Moneyball to Pitt", Variety (October 16, 2008). ↑ ""Benched: 'Moneyball' Flick on Hold at Last Minute", Associated Press (June 22, 2009)". Sports.espn.go.com. 2009-06-22. Retrieved 2011-09-24. 1 2 Fleming, Mike. ""Finally, It's Batter Up For 'Moneyball,'" Deadline.com (April 12, 2010)". Deadline.com. Retrieved 2011-09-24. ↑ ""'Moneyball' begins filming in Oakland", ABC7 KGO-TV San Francisco, California (July 27, 2010)". Abclocal.go.com. 2010-07-27. Retrieved 2011-09-24. ↑ "'Moneyball' films scenes in Dodger Stadium". Los Angeles Times. 2010-09-14. Retrieved 2011-09-24.